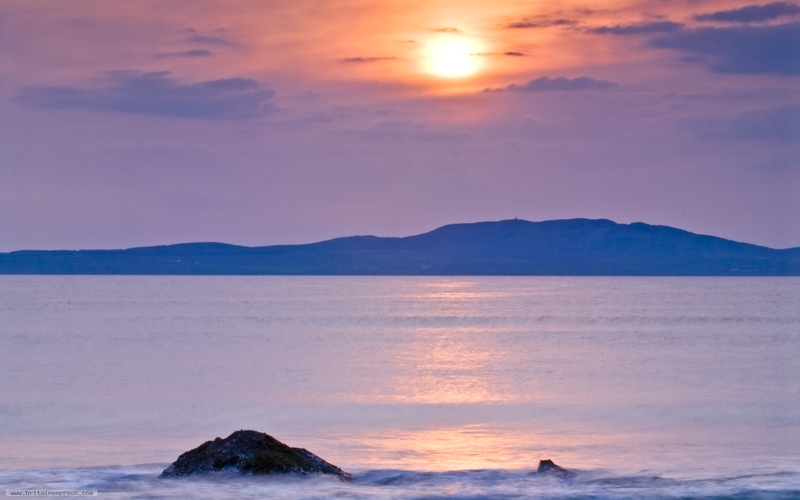 Kintra is one of the best places on Islay to take sunset photos due to the unimpeded northwesterly sweep of the beach. This day had been hazy, but as evening approached the sky lightened and the sun broke clear of a bank of westerly clouds. I was dressed up to the nines in layers of jumpers, jackets, and my trusty woollen long underwear - photography involves a lot of standing around and waiting, and if you aren't prepared for it, you'll definitely notice the chill as evening sets in!